I guess I’m having some tension issues, because I’ve got a little wing thing going on, but I’m going to press on anyway, and try to be more mindful. My stitch count is also a little off. 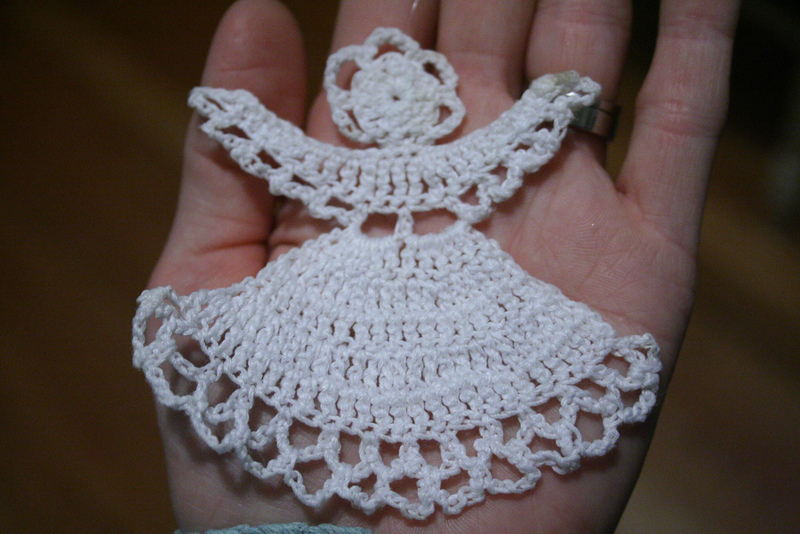 I obviously still have a lot to learn when it comes to crochet. 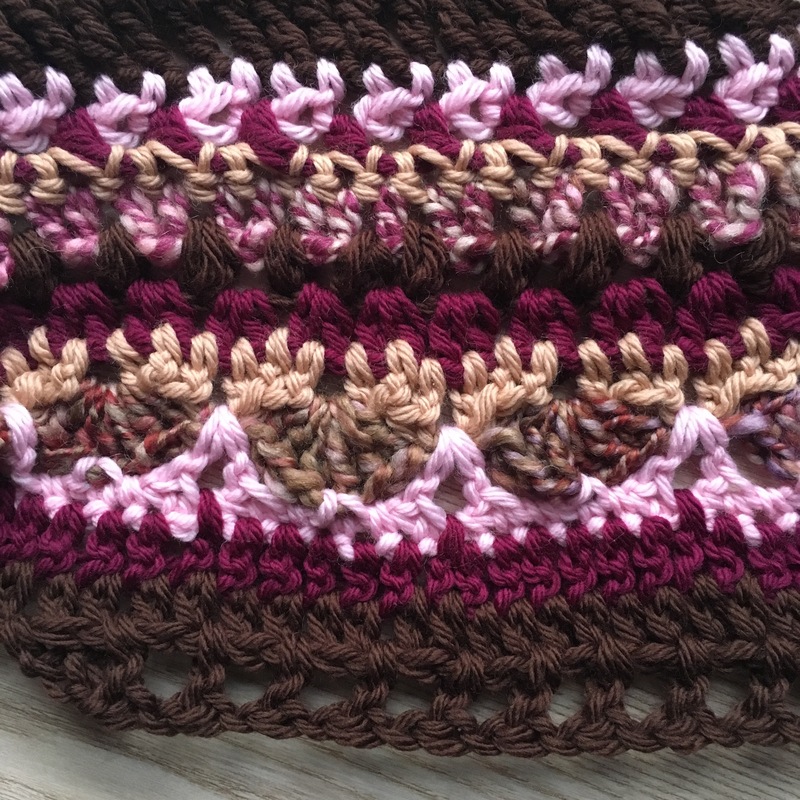 But I’m very much enjoying the pattern as well as watching how fast crochet grows. The yarn is Knit Picks Swish, acquired years and years ago for a Tubey sweater (remember that pattern), which I never got around to. 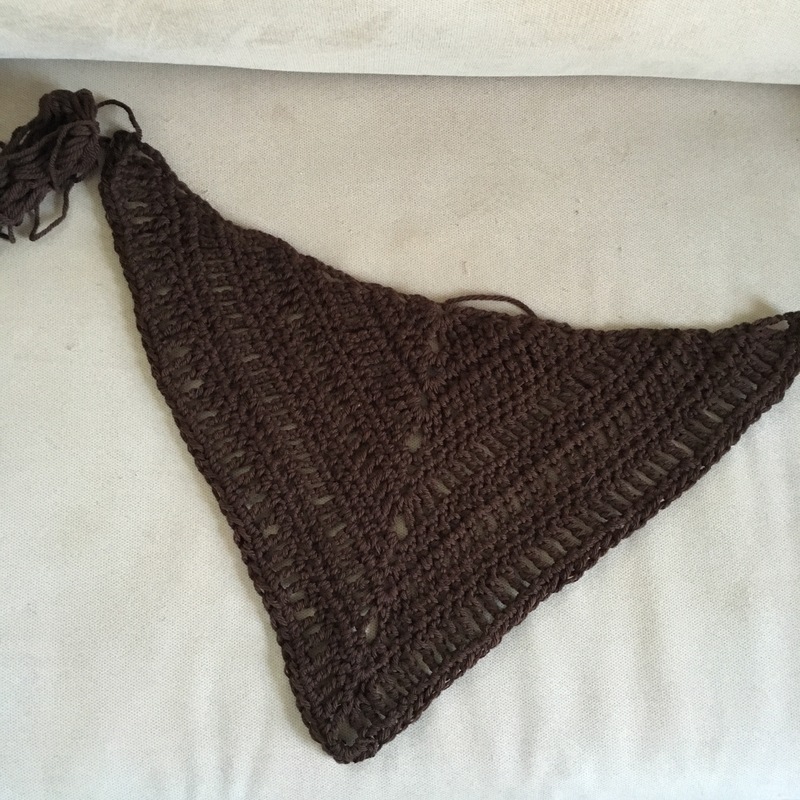 Now I’m glad about that, because I am really pleased with how it’s turning out in the shawl. 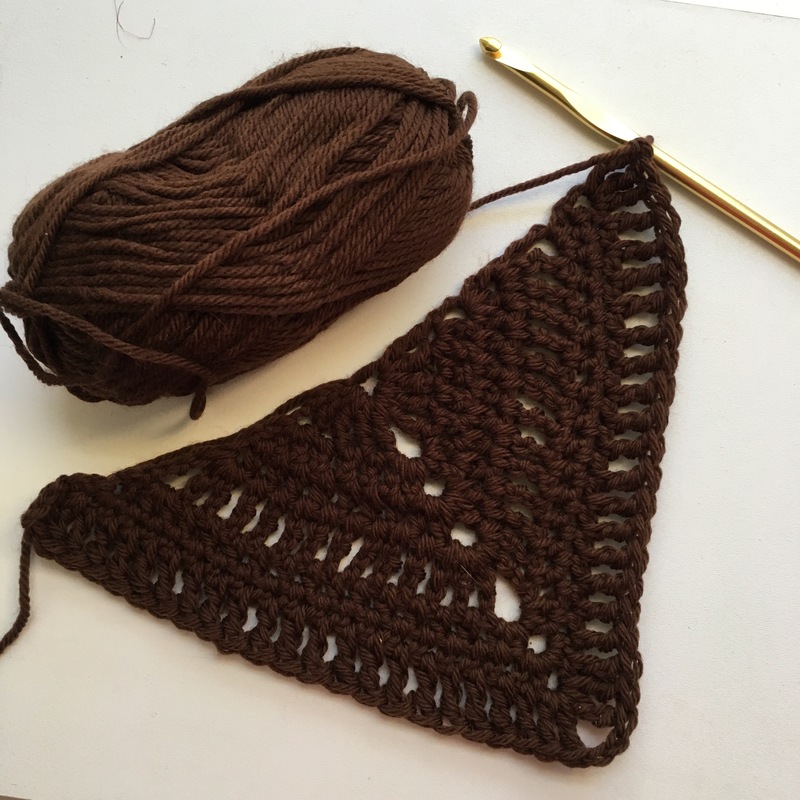 Since it’s called the Sunday Shawl, it only seems fitting that I spend some time today (Sunday) on it, yes? Yes, I think I shall. I decided to see if I’m able to crochet with a splinted broken hand and it turns out I am! 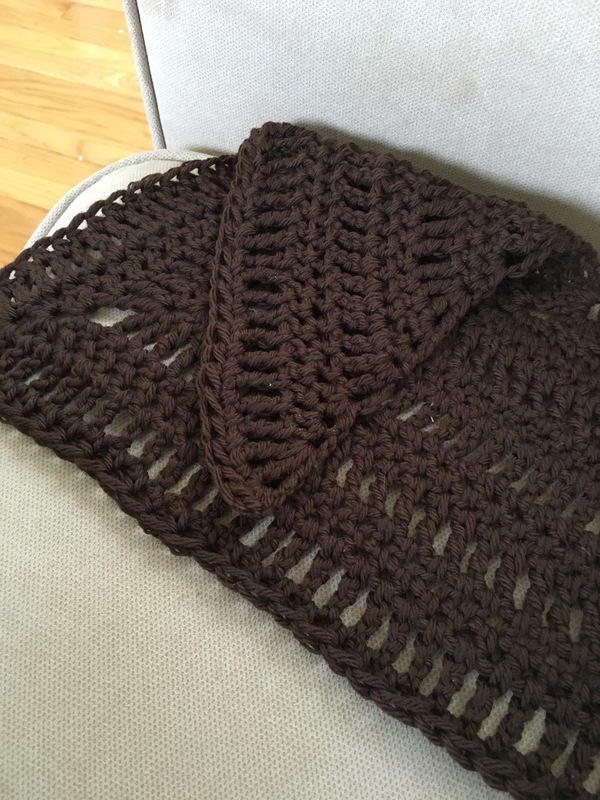 It’s not graceful or smooth or fast – which is to say, it’s not much different from how I crochet when I’m not injured! Sunday Shawl by The Little Bee. 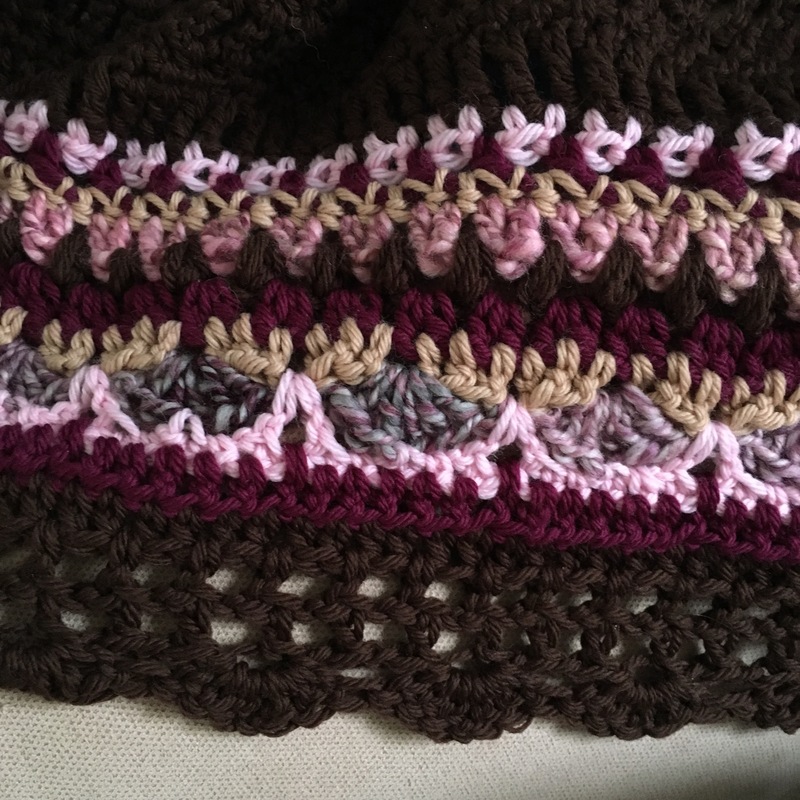 I’m pretty excited about this project, and it’s always amazing to me to see how fast crochet grows. 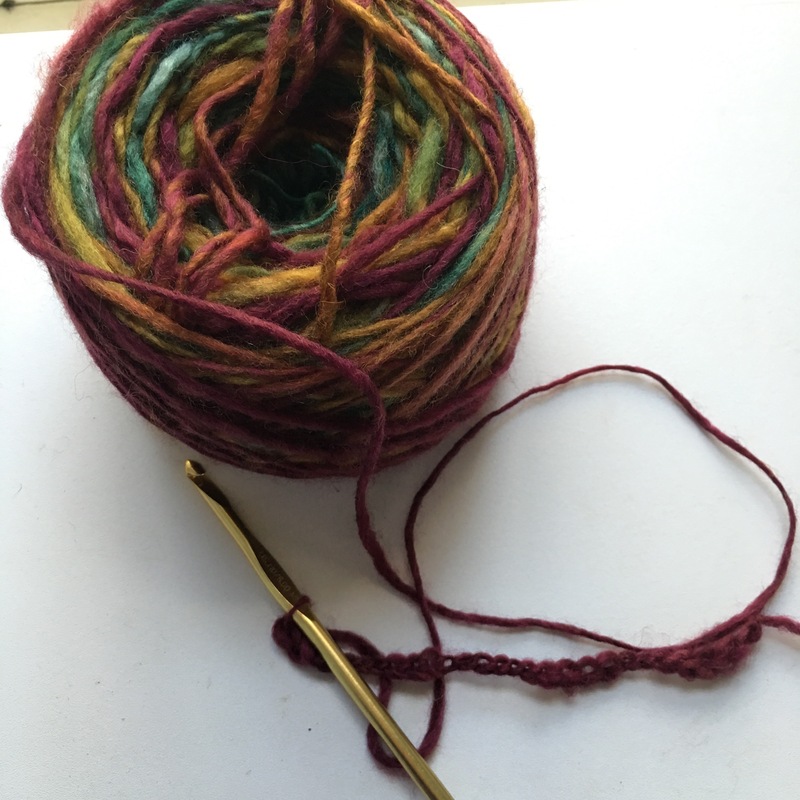 I miss knitting terribly, but I’ll admit that it’s good to be forced out of one’s natural preferences from time to time. How about you? Have you ever been forced, compelled, or inspired to work outside your crafty comfort zone?